Is High Stress Affecting Your Glow-Up? The list of benefits from adopting a more holistic skin care routine—where equal consideration is given to the beauty items we choose as well as the foods we eat—is growing daily. And many attribute their overall radiance to this external–internal regimen. However, while doing things like using nontoxic lotions and potions and following a diet rich in antioxidants (like berries and collard greens) is great, keeping our stress in check is also imperative to reaching our #skingoals. “Stress is serious. The science is getting stronger at proving that it shows up in and on your body,” says Kristian Henderson, DrPH, founder of the beauty e-commerce Web site BLK + GRN, which specializes in Black-owned all-natural brands. Yes, a little bit of anxiety can help us, say, meet deadlines and stay focused, but chronic pressure—which can come from being inundated with e-mails and social media alerts, for example—can wreak havoc on our skin. 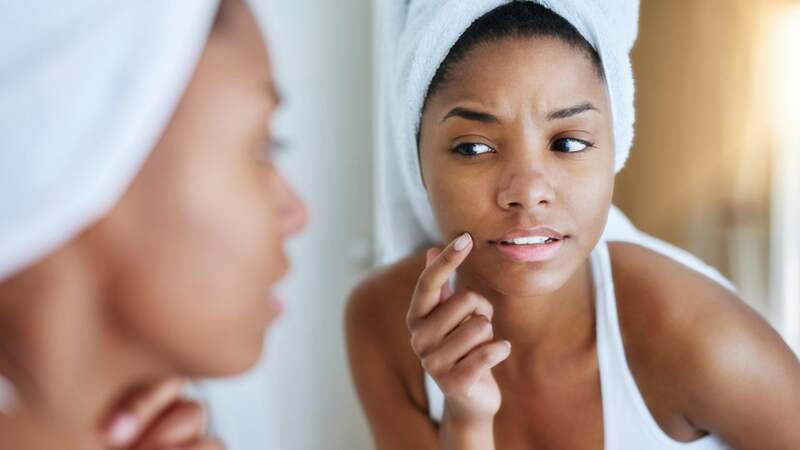 An increased level of cortisol, a hormone the body releases to respond to stress, may result in acne flare-ups, clogged pores and even visible worry lines (aka wrinkles). So, in addition to drinking kale smoothies and lots of water, turning off our phones and meditating are just as important for an amazing complexion. “You have to reshape your lifestyle to incorporate all these things: mindfulness, [healthy] eating, self-care and [good facial] products,” Henderson explains. Together, “they form a ritual.” She also encourages us to consider the role we play in perpetuating tension in our lives. There’s no cure-all for some skin issues, and many of them could indicate an internal problem. But how well we manage stress is a major factor in maintaining our skin health and reinforces the notion that beauty truly does begin from within.